It is obvious to City planners and engineers alike that the proximity principle of waste generation to waste treatment and disposal is vital to controlling costs. Unfortunately, locating close to waste generators means locating near population centers which invariably assures that NIMBY (“not in my backyard”) issues will arise. No one wants to own property or raise a family near a smelly landfill or waste treatment plant that negatively impact air, soil and water well beyond their prescribed property lines. In the case of mass burn WTE facilities, the ferocity of opposition is increased exponentially as deep concerns exist vis-à-vis air- and water-borne carcinogens and their deleterious effect on human health and progeny. RCR STAG Recursive Recycling System offers a 100% non-incineration disposal option for MSW obviating the need for air permits as there are very low industrial emissions from combustion emitted to the air. Inside the plant, a sophisticated odor abatement system coupled with an advanced negative pressure design insures that even odors from decomposing waste are reduced to practically nil. If standing 20 feet outside the building, a normal person would not be able to discern by smell the nature of the processing inside. The RCR plants can utilize fresh river or gray (industrial) water as an input for the eventual generation of clean steam for processing and high-quality ethanol thanks to a state-of-the-art water treatment technology developed by RCR. The “Otter” water treatment system is a low cost and highly efficient technology used to render ever slurry water to a potable state. 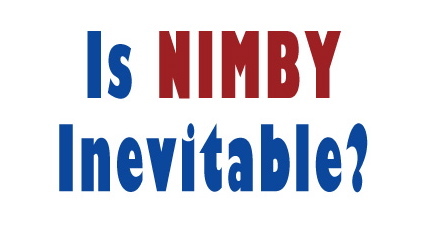 While no one expects NIMBY issues to go away completely, if you don’t combust, don’t emit and don’t pollute, there is little of substance to elicit complaints. RCR requires adequate land, normal utilities, good infrastructure and normal permitting for light industrial operations.